At this moment in time, not being broken is pretty much your only aim. If there was one thing you were planning on avoiding for the next few seconds, it’d be being broken by the thrower. You know this is not an easy task, but you’re going to try your hardest. You’re remembering the release points of your mark, you’re glancing over your shoulder to visualise the potential threats, and you have an extra pair of eyes on the sideline to help you. What do they say? No breaks. Guess you’re to blame if you get broken then – the instructions couldn’t be clearer. Another situation we’re all familiar with – the opponents break the force, and the shout of “No breaks!” rings out again – usually in a more whiney tone. The force has already been broken – all the shouter is doing is releasing their frustration in a commonly acceptable way. You wouldn’t shout “Don’t get scored on!” before or after the opponents score, would you? Everybody knows what you were trying to do, and that you didn’t succeed in doing it – no need to state the obvious. The real fallacy of ‘No Breaks’ isn’t in how obvious, unhelpful, or useless it is as a hindsight, but in the near-impossibility of the request. 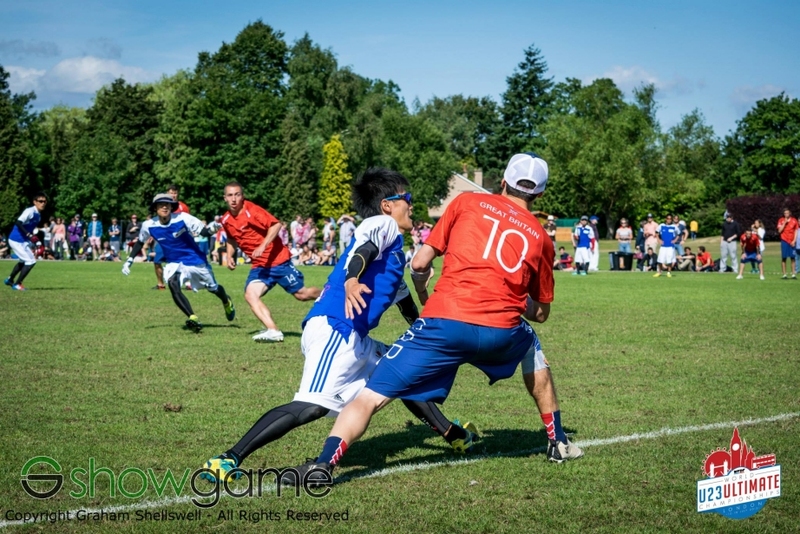 When two players of comparable ability face up against each other, the thrower will be able to break the force. We’ve all been part of drills since we were beginners where breaking the force is a given. The three-man break-force drill doesn’t pose any real challenge to the throwers – without any restrictions on time and space, breaking the force is easy, and stopping all break throws is incredibly difficult. What a force can be expected to do though, is to stop throws to a particular space at a particular time. 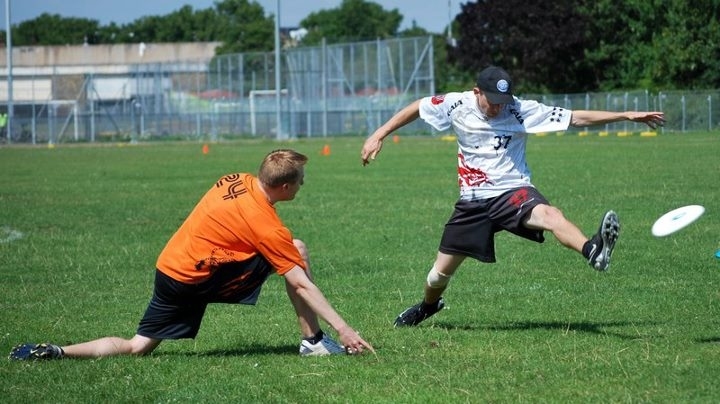 The force knows very little about which particular space and which particular time – their main indicators come from what they can see (the thrower – where they’re looking / pivoting), and what they can hear (sounds of players behind them / cutters calling for the disc). The sideline have access to far more information. They can see space developing behind the force, and instruct the mark to move to prevent throws to this space. Conversely, they can also see where covered cuts or crowded areas are behind the force, and instruct the mark to force throws to go towards these areas. Sideline players can identify a free offence player cutting and provide very timely shouts to help the force prevent the ‘easy’ throws to them. Most higher level teams have their own lexicon for communicating some of this information – ‘left hand / right hand‘, ‘around / inside’, ‘strike‘ and ‘spoil‘ / ‘no huck’ calls are quite common, and each are useful for encouraging the force to concentrate on taking out a particular throw at a particular time – infinitely more useful than a ‘no break’ shout. This allows the force to direct their efforts in the most effective way. The sideline can also help the force by letting them know more general / less situation-specific information, so as what the thrower’s preferred throws are – if they’ve been using high releases to devastating effect, then communicating ‘high hands‘ can benefit the defence. If the thrower is going into the wind, then ‘low hands’ can force higher release points, therefore tougher upwind throws. At the next opportunity when your team mate is stepping up to put a force on, trust that they know the basics of the task at hand, and communicate to them using the info they can’t see or hear for themselves. It’s time we heard the last of “No Breaks”. http://www.pushpass.co.uk/wp-content/uploads/2016/04/pushpass-logo-fixed1-1030x485.png 0 0 felixshardlow http://www.pushpass.co.uk/wp-content/uploads/2016/04/pushpass-logo-fixed1-1030x485.png felixshardlow2015-11-10 12:41:252015-11-10 16:34:39The fallacy of "No Breaks"